 Get yourself into Crocosaurus Cove and join our brand new Locals Pass Program. Do you have an NT License? Show your NT License to the friendly staff at the Crocosaurus Cove ticket desk and receive 12 months unlimited entry to Crocosaurus Cove with your ticket purchase. That’s right! Pay once and receive FREE entry for an entire year. A great way to save money with all of those visiting friends and relatives, school holiday fun, weekends or after school! Want to buy your ticket online? No problem. Just present your NT Licence to the front office team on arrival with your online booking reference. What’s better than 12 months unlimited entry to Crocosaurus Cove for the price of a single admission ticket? How does 10% off at some of Darwin’s favourite bars, cafes and attractions sound? Or perhaps a special value-add or upgrade to your experience? The Crocosaurus Cove Locals Pass is now even better value. & beverage, attraction, accommodation and retail partners. Check out these great deals & start saving today! Wharf One Food & Wine Buy one Dessert, and receive a complimentary Dessert. *Simply show your Crocosaurus Cove Locals Pass key tag or membership card at the participating business or mention the deal at the time of booking. Full price adult/child/senior entry only. No promotions or discount vouchers are accepted. No family price discounts apply to NT Locals Pass. Valid for NT Locals and their immediate family/children only. Interstate visitors/friends are unable to appear on a NT Locals pass.